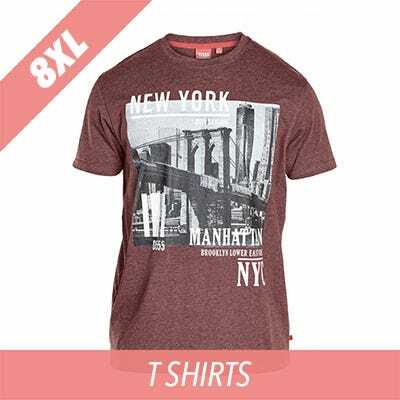 XXXXXXXXL clothes are our largest size we currently stock, however we generally have as many 8XL styles as any other size. 8XL is normally made to fit a 70 inch to 72 inch chest and a 68 to 70 inch waist, but if you go for something like 8XL jogging bottoms or 8XL Espionage combat trousers you will normal find they are very generous and the 8XL could even cover a waist up to 80 inches. If you need a trousers for an 80 inch waist, it’s probably best to contact us first to make sure you’re purchasing the best possible trouser. 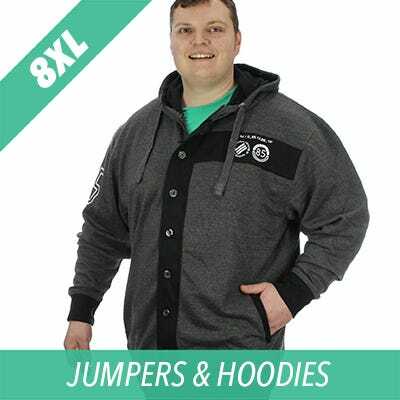 It’s amazing how popular 8XL clothing is, so we are continuing to expand our range for every possible taste. 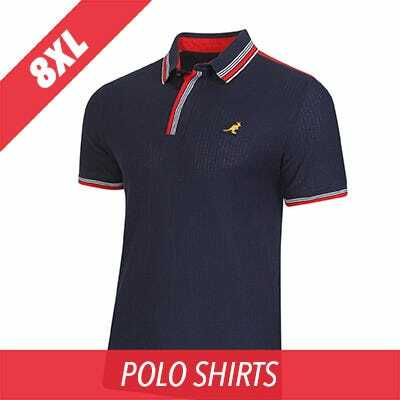 We have an extensive range of 8XL polo shirts, 8XL Shirts, 8XL T-Shirts, 8XL jumpers, 8XL trousers and 8XL shorts. We stock this size from famous brand names including, 8XL from Duke Clothing, 8XL from Kam Jeanswear and 8XL from Espionage clothing. 8XL man and looking for a suit? We stock a large range of Skopes suits up to a 70” and 72” waist and chest. In addition to Bigclothing4u we also run ‘Scunthorpe Suits’, so if you’re looking for a suit and can come to our store in Scunthorpe we have an extensive range of 8XL three piece suits with a waist size 66inch, 68 inch, 70 inch and 72 inch. 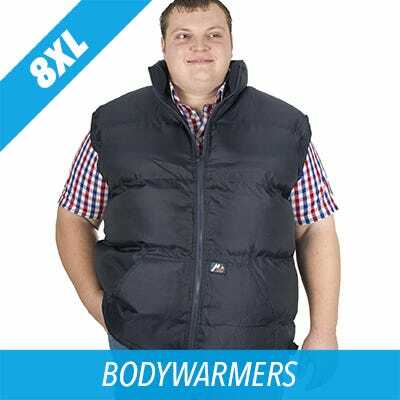 We stock the same sizes in the jacket, chest sizes 66inch, 68 inch, 70 inch and 72 inch. We sell 8XL suits on line and in store for you to try on.